Doing a little house cleaning over the weekend, my wife came upon what we thought was an empty coffee mug box. 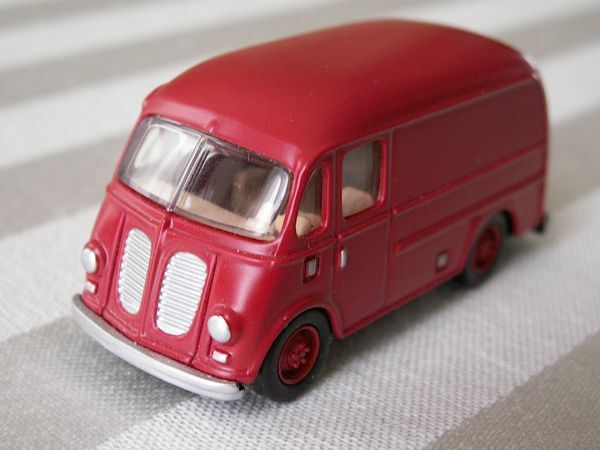 Opening it, we discovered about a half-dozen 1/64 scale toy cars, including this International Harvester Metro delivery van. This qualifies as a RealRide subject for the simple matter that, well, if I had some sort of business where I needed a truck, I’d somehow resurrect one of these, paint it up in the company colors, and drive it all over town! And I’m not the only fan, as the Metro has its own Facebook page: Metro Van Jim Corbran, RRofWNY …and check out our Facebook page: Non-American Classic Cars The post RealRides Of WNY appeared first on Buffalo Cars.